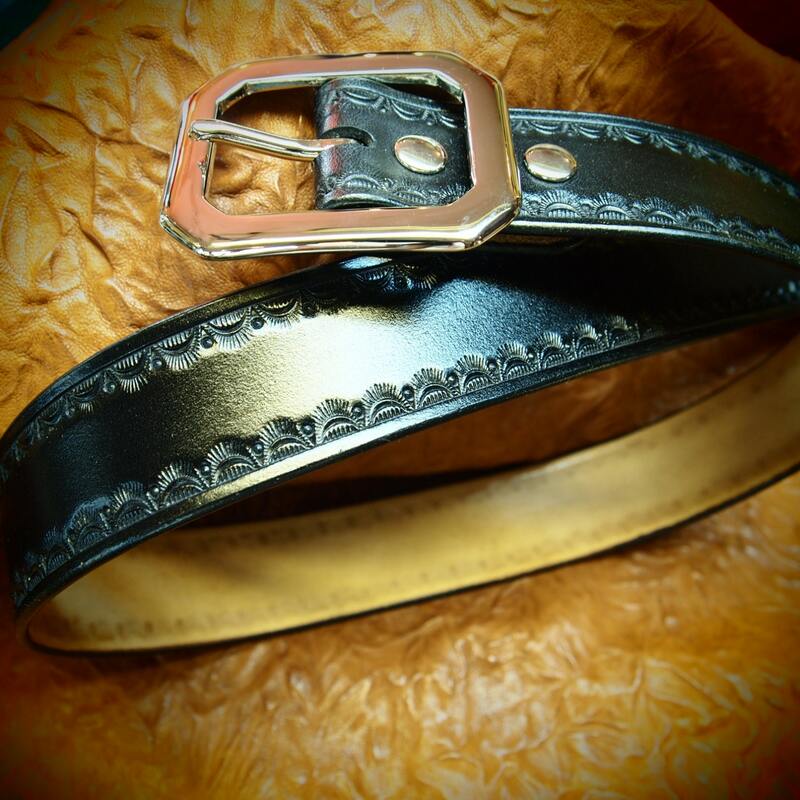 Black Leather Belt : Hand Tooled Black Western/ Native border. Custom made for YOU in New York! 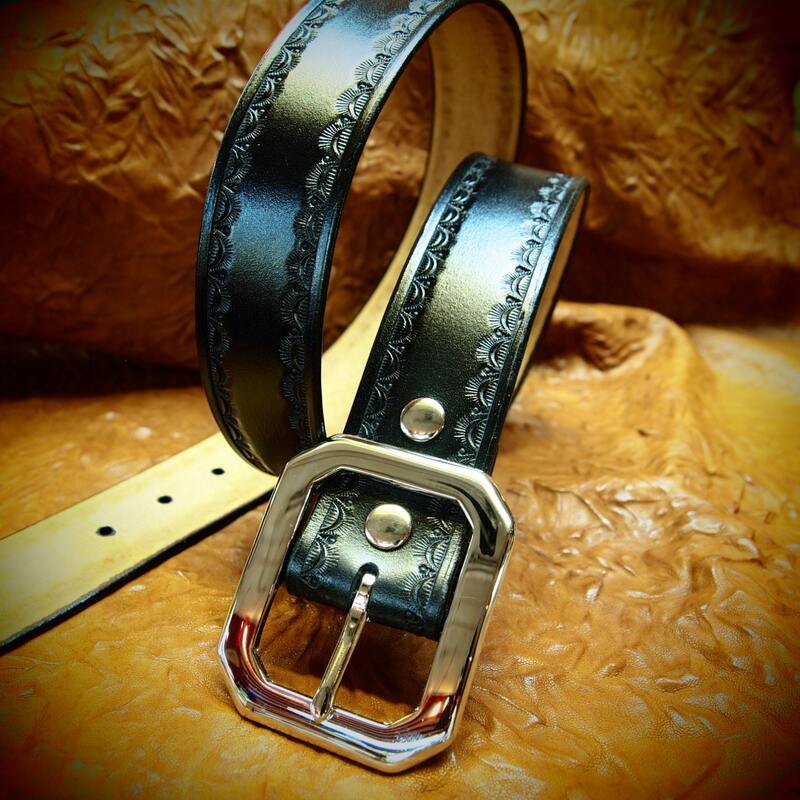 This black leather belt is made with fine thick veg-tan leather. 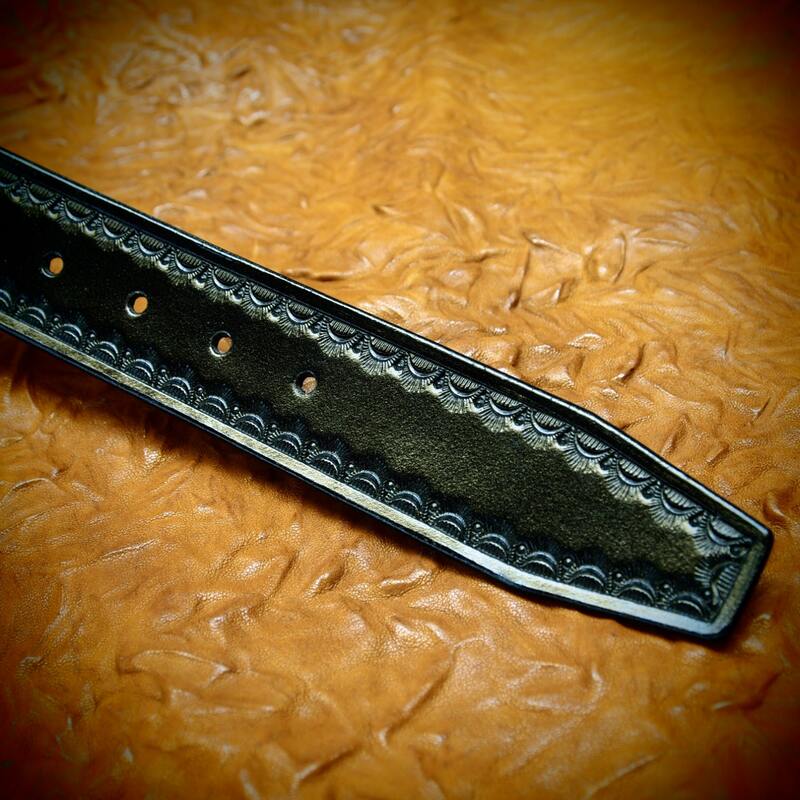 It is hand tooled with a unique western/native border and dyed slick black. Edges are beveled,slicked and finally I hand rubbed to produce a vintage finish. 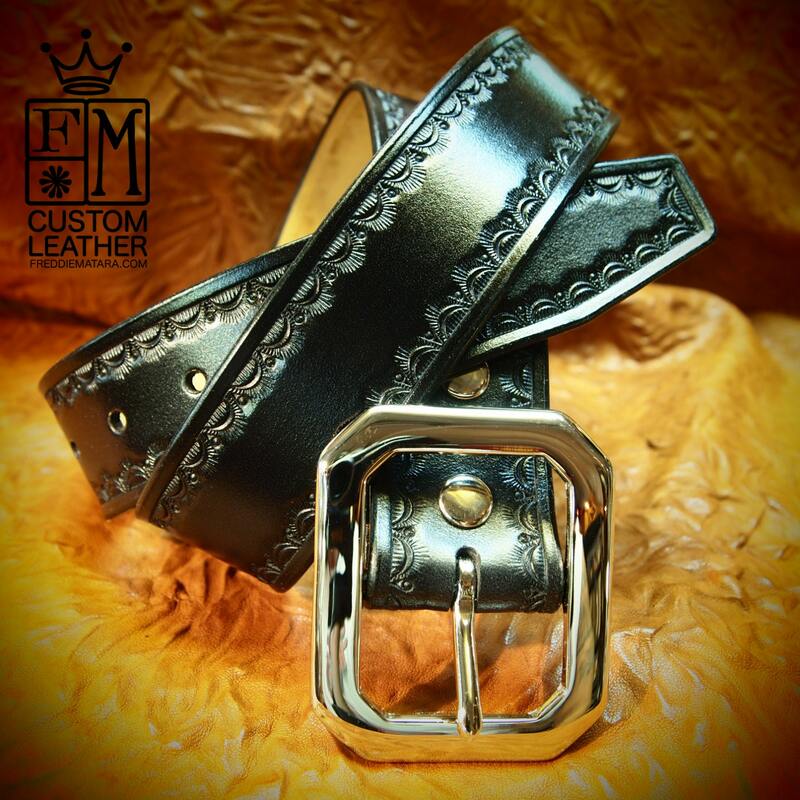 The clipped corner buckle is Nickel plated and can be worn with your own buckle as the belt uses 2 nickel snaps to attach. I need a measurement from your current belt to the hole you mostly use. I'll add 2 evenly spaced holes on either side of that one. See diagram above! - can be made 1-1/2", just ask!